This photograph was probably taken at Marston's Department Store in downtown San Diego where my grandfather worked for 55 years. This photo was probably taken in the 1947 to 1950 time frame, when I was 4 to 7 years old. My guess is that my grandfather, Lyle Carringer, took this picture, although my mother may have taken it. 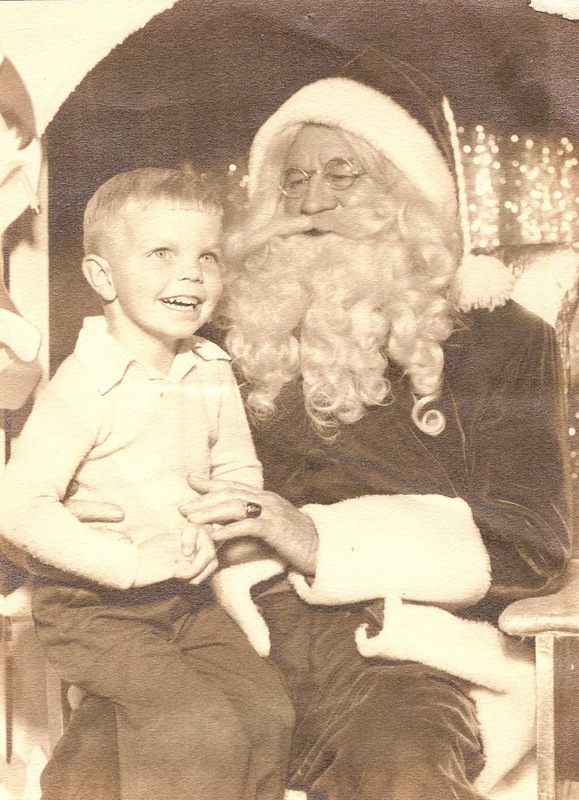 I wish I could remember what I asked for from Santa Claus. I'm quite sure it wasn't socks, pants or shirts. It was probably the "toy of the year." Maybe Mr. Potato-head? Or a small bicycle with training wheels? FYI: I've posted this photo almost every year at Christmas time.